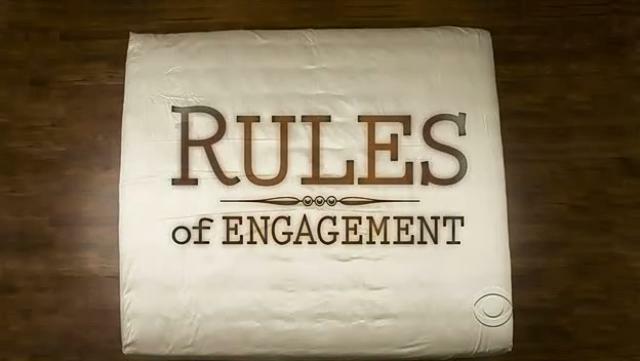 Rules of Engagement is a romantic sitcom that aired on CBS. It focuses on a group of friends at various levels of relationships, including a newly engaged couple (Adam Rhodes and Jennifer Morgan), a long-married couple (Jeff and Audrey Bingham) and two single guys (Russell Dunbar and Timmy Patel). This page was last modified on 12 June 2015, at 11:28.